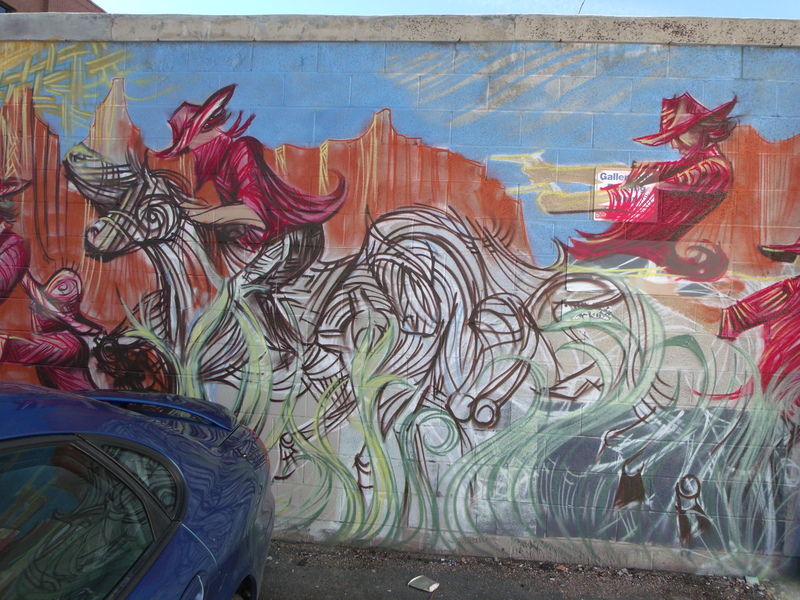 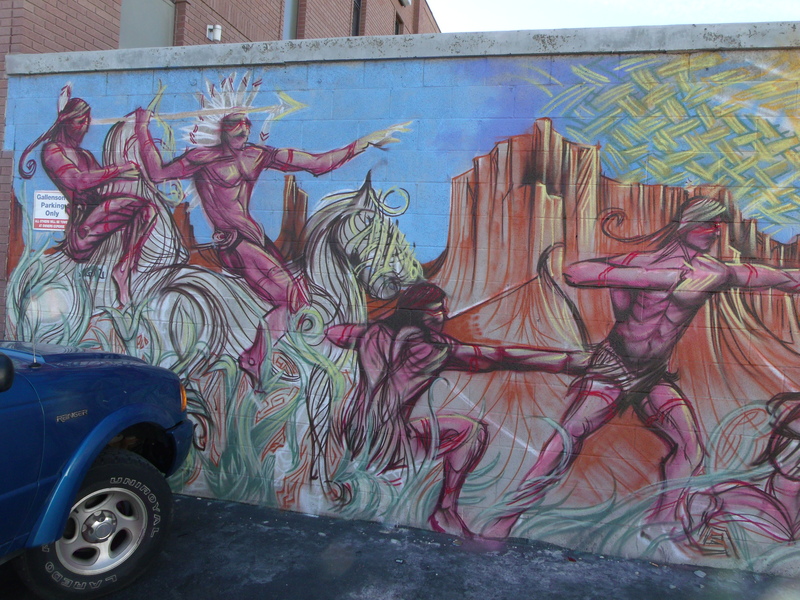 If you’ll scroll back to “City Paint 6.1 – Becoming,” you’ll see the first two weeks’ progress on this western-themed mural that happens to be on the wall that encloses a parking lot behind a gun store, of all things. 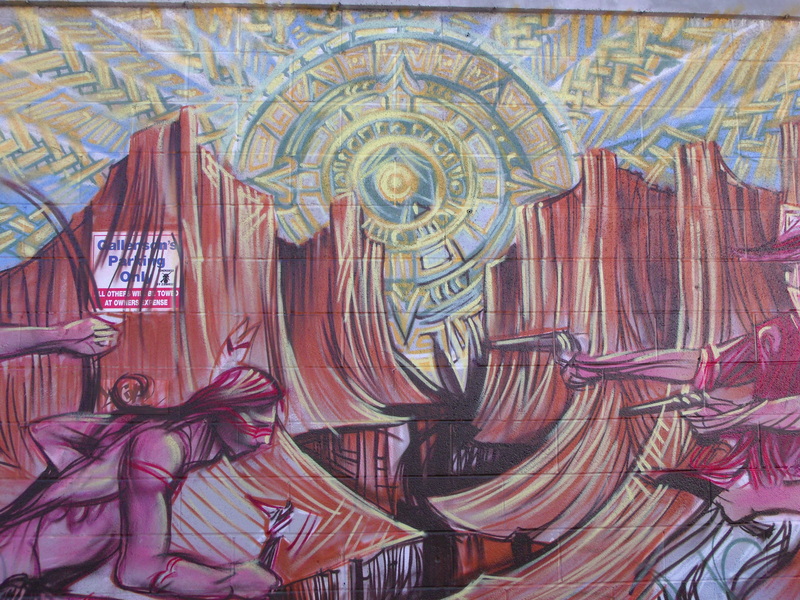 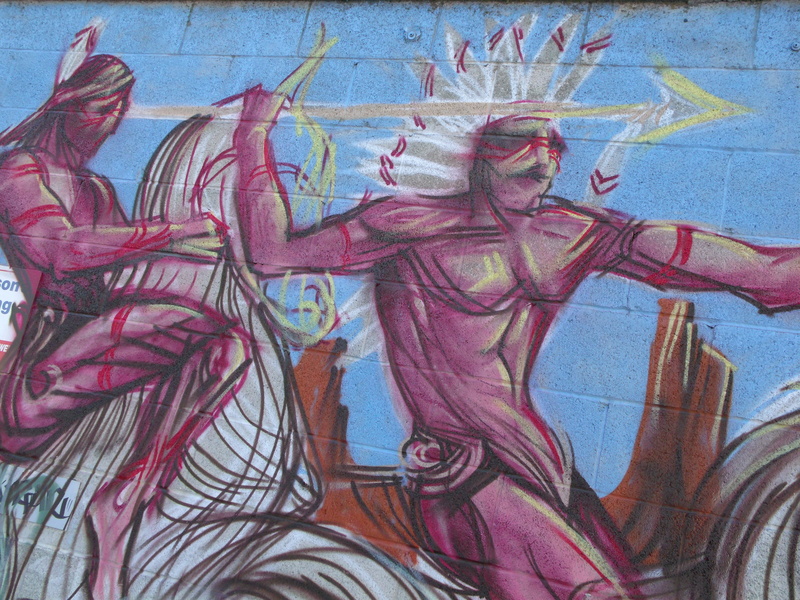 This is the third installment of the mural’s progress, the first two being covered in the earlier post. 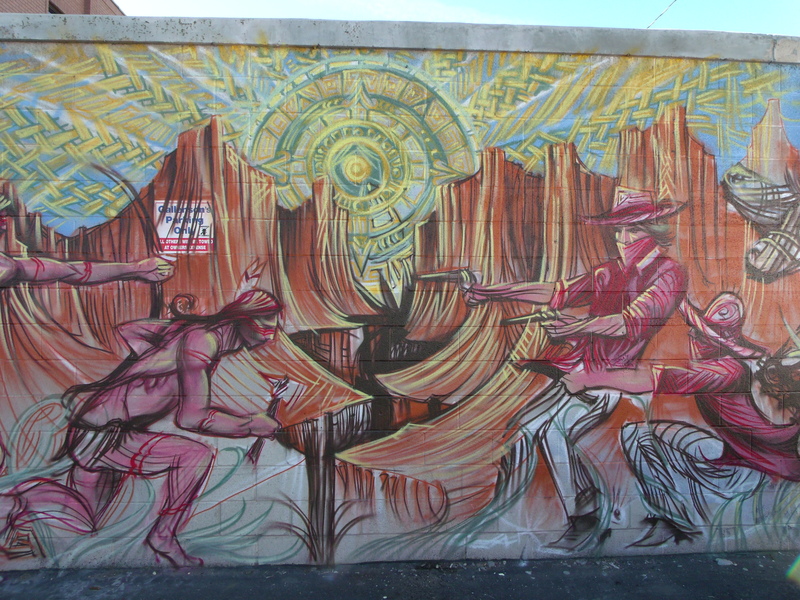 By the amount of work that’s been done since the last set of shots, it looks like it might be completed during this next week. 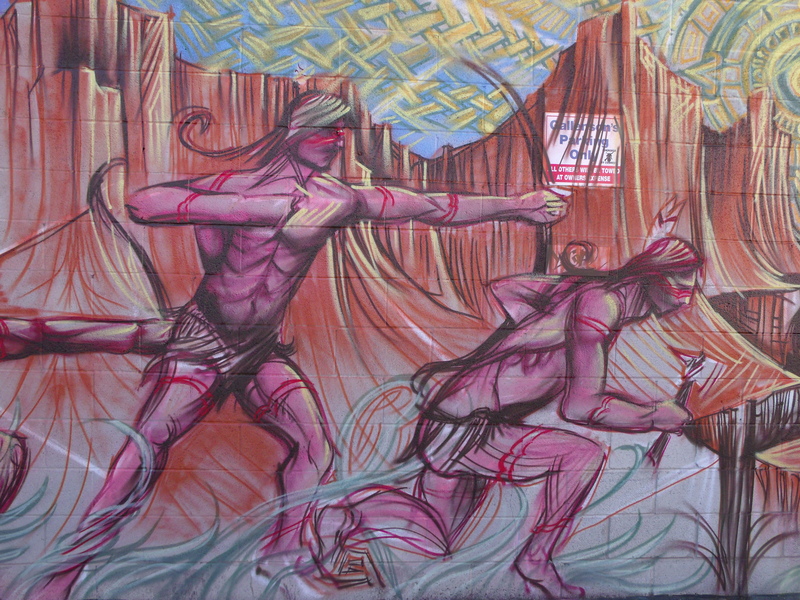 The first three shots are the three panels of the mural that are similar to the photos from the earlier post, presented in order from left to right. 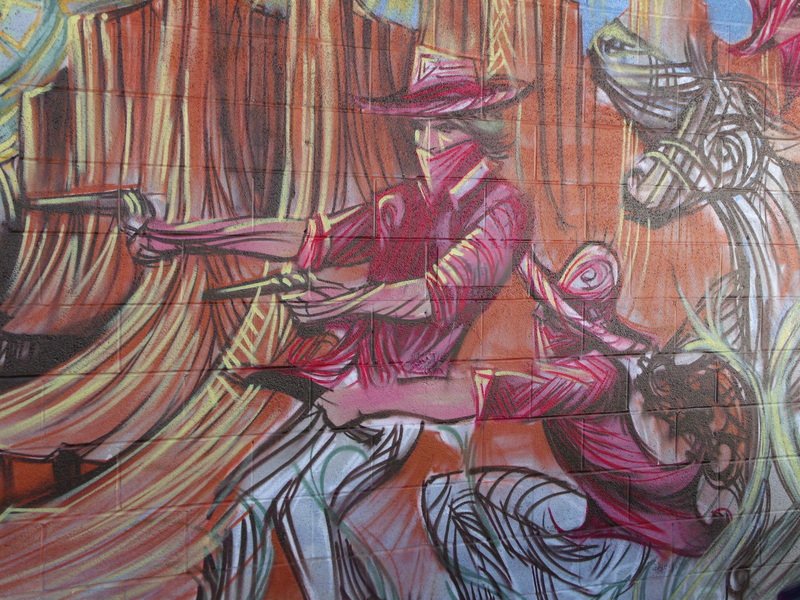 And the final four photos are close-ups of the significant pieces of the mural, offered to show greater detail of the work….